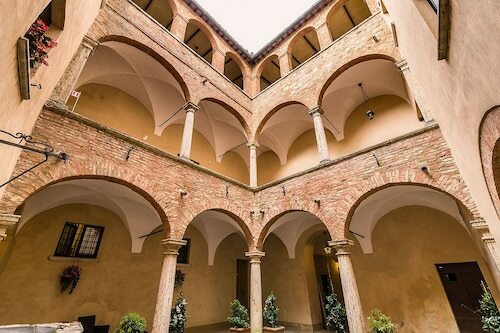 Situated in Montepulciano, this historic property is steps from Val di Chiana, Cantina Contucci, and Dome of Montepulciano. Torre del Pulcinella and Consorzio del Vino Nobile di Montepulciano are also within 5 minutes. 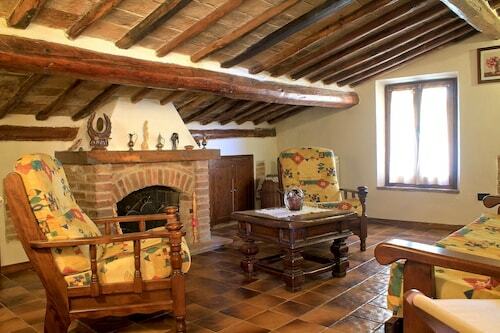 Located in the heart of Montepulciano, this historic property is steps from Val di Chiana and Torre del Pulcinella. Cantina Contucci and Dome of Montepulciano are also within 5 minutes. 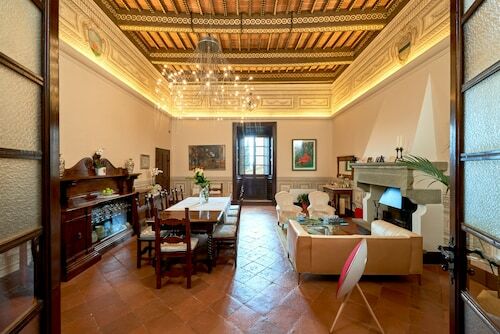 Located in the heart of Montepulciano, this historic property is steps from Val di Chiana and Torre del Pulcinella. Consorzio del Vino Nobile di Montepulciano and Dome of Montepulciano are also within 5 minutes. 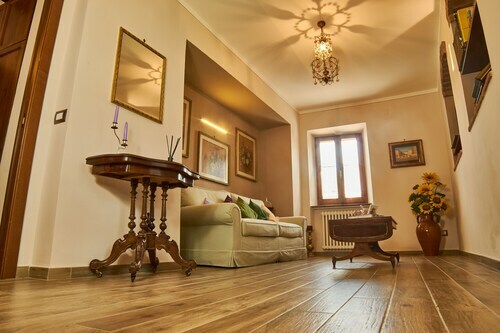 Located in the heart of Montepulciano, this historic apartment building is steps from Val di Chiana, Cantina Contucci, and Consorzio del Vino Nobile di Montepulciano. 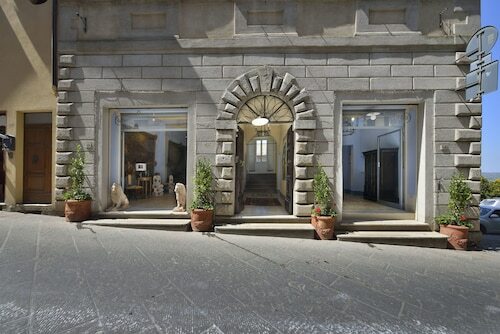 Dome of Montepulciano and Piazza Grande are also within 5 minutes. You're certain to have an interesting experience with a visit to Torre del Pulcinella. You'll find the attraction in Val di Chiana, 90 miles (145 kilometers) from Rome, the nation's capital city. Tourists who are here for a short amount of time might like to stay in the area surrounding Torre del Pulcinella. You'll find 26 accommodation options within 2 miles (3 kilometers) of the attraction. The Il Tosco, 0.09 miles (0.14 kilometers) away, is a great starting point. 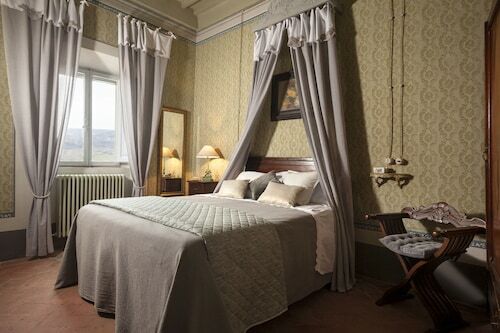 You may also like to check out the Palazzo Carletti, 0.2 miles (0.3 kilometers) away, and the Etruria Resort & Natural Spa, only 0.8 miles (1.3 kilometers) away. You don’t need to pay an arm and leg to enjoy a decent night's sleep. Check out the wide array of close-by bargain hotels. 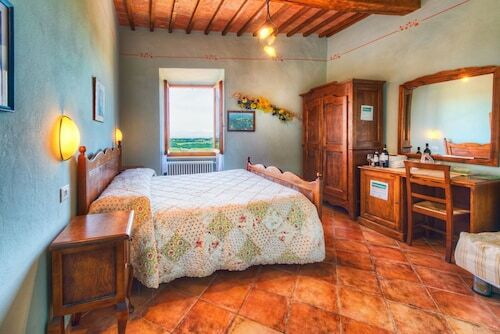 For example, the Fattoria San Martino is just 0.9 miles (1.4 kilometers) away, while the Bed & Breakfast Vicolo dell’Oste is 0.3 miles (0.5 kilometers). After you have wandered around the various sites, take it easy at one of the handful of elegant options that are a short drive away. You should check availability at the Alexander Hotel Palme and Hotel Rotelle. Whether you are a tea connoisseur or a caffeine addict, you might need something to keep you going. Just a quick hop from Torre del Pulcinella, Sax Wine Bar boasts an enticing variety of refreshments and treats. When you've built up a real appetite, Gattavecchi Winery is also close by, and is an exceptional place to enjoy dinner. Of course, there is no finer way to round out a day's adventures than with a relaxing drink or two. Osteria Del Conte, also a brief walk away, is the place to go. Savor the full-bodied essences from this area at Consorzio del Vino Nobile di Montepulciano. A trip to Cantina Contucci is a journey for your senses. Wander through Piazza Grande, and try to picture the events that played out there many years ago. Receive some inspiration, as well as education, at Civic Museum, which collects, protects and showcases artworks to help contribute to the local culture. 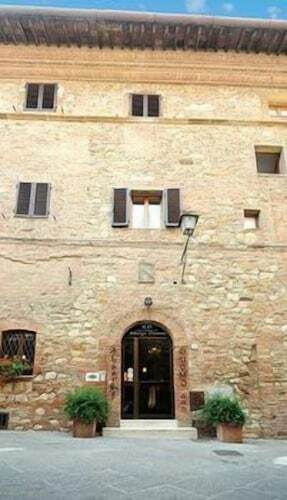 Torre di Pulcinella is a historic local building and an excellent place to meet. 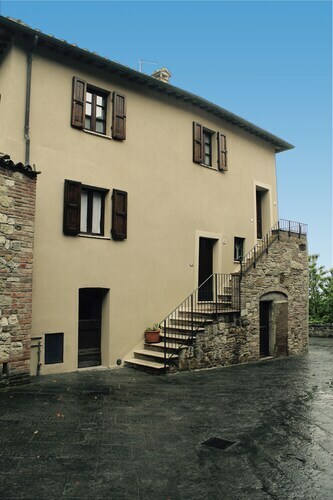 How Much is a Hotel Room in Torre del Pulcinella? 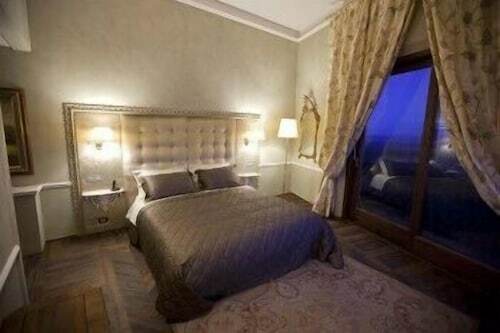 Hotels in Torre del Pulcinella start at $79 per night. Prices and availability subject to change. Additional terms may apply. Podere Pisinano 8+2 Sleeps, Villa With Private Pool at Exclusive Use!